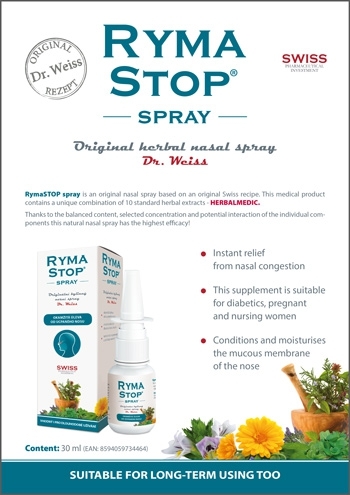 RymaSTOP Dr. Weiss® - herbal nasal spray 30 ml - Simply You Pharmaceuticals a.s. The unique products of this line are based on the original herbal formulas of the legendary Swiss healer Dr. Karl Weiss. Their positive effects on people’s health have been known for generations. The traditional recipes have been enriched by the newest findings in modern medicine. 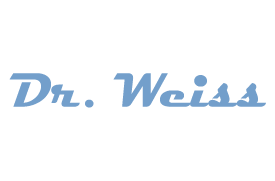 The effectiveness of the Dr. Weiss products are guaranteed by the careful control of the herbs’ quality. © 2019 This site is managed by the company SWISS PHARMACEUTICAL INVESTMENT and this company is fully responsible for its content. This site and the information contained herein are intended for specialists worked in health and also for business partners. Information is not intended for the general public or potential end consumers in the European Union.